Ridgeview has functioned as a vacation rental for about twelve years. Originally the house was built as a “dream garage”—a two-car building with an apartment over it. But a few years ago we remodeled the ground floor, creating the master suite that you will now enjoy when you visit. That remodel also nearly doubled the square footage, so the cabin functions much more comfortably for larger groups now. That said, as advertised it is a “cozy” cabin with a view. It’s not designed to sleep six adults unless they are happy being very chummy. Three sleeping areas, two of which share airspace (the loft above the main floor, in other words), means that three couples would not enjoy total privacy. Two couples works great, and a family of up to six can be very happy. But big groups or big people, not so much. But the interior is spacious with a clean design and furnishings. There are not a lot of fussy knick knacks to worry about. The ceiling height of nearly 18 feet makes the main floor feel open and welcoming. Wood stoves in both the master suite and on the main level. Skylights, decks, and more than ten acres of land to explore. Romantic and peaceful, it’s a wonderful place to slow down, relax and unwind. 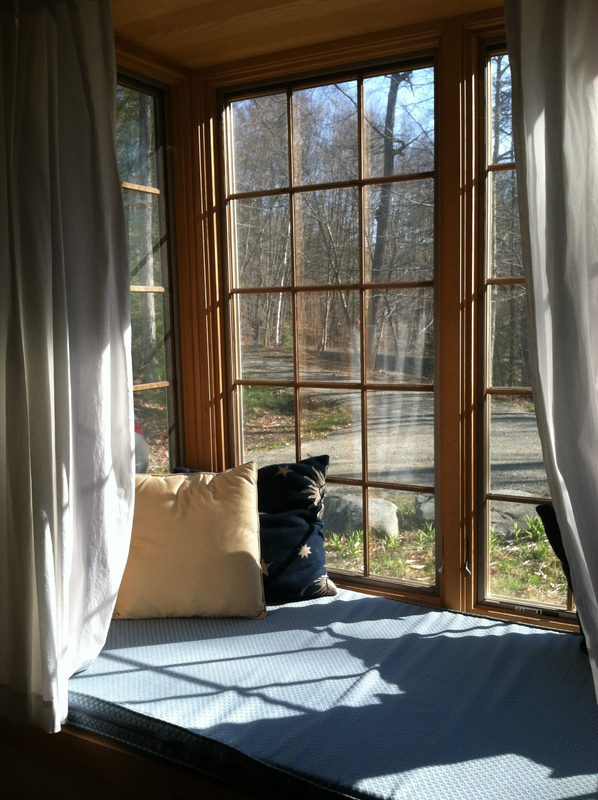 You can find me listed on VRBO, HomeAway.com, FlipKey.com, Airb&B and vermontproperty.com.